Looks like Respawn is holding up their promise, adding updates and game changes based on the wants and needs of their online community. In theory, this will keep Titanfall fresh and fun for players sticking with it through the year. 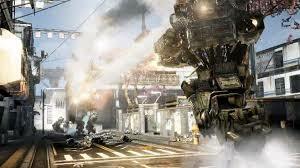 Earlier today, Respawn announced the fourth major title update to Titanfall. So here’s Mark’s breakdown of the update. First thing to drop is going to be the introduction of a featured game mode. This will be a new game mode that is only on the playlist rotation for a limited time. The idea is that the playlist itself cycles through game modes each round. We have fond memories of playing Halo 3 like this! Always having a new mode to play kept what can be a very repetitive genera new! Next, there will be new Burn Cards and a new way to manage your Burn Cards. If you are like me, then you burn through the challenges and unlock more cards than you can burn. The new management system allows you to hold the regular 26, then a additional 20 in a stock pile. Before you can add more to you deck however you have to toss some away to get back into the legal 26 limit. Additionally here will be 14 new cards that focus on your titan. And the kicker? If you have a Titan burn card active and die as a pilot your card will still remain in effect! Have you completed a challenge that you really want to show off? Well now you can in the form of Titan insignias! You can choose form a number of emblems to show off what you have achieved! The final major change is the addition of 2 new Titan Operating System voices. Don’t like the way your Titan talks to you? Well now you can pick from one of three voices! Still don’t like what your Titan has to say? Well then tough! As normal there will be a ton of tweaks, balances, and other behind the sense changes to help the over all fell of the game. Enjoy and see you on the battlefield!